Classic Southern Cornbread, the iconic bread of the South that has graced tables for generations. A simple and straightforward recipe cooked in an iron skillet, using three must ingredients, bacon drippings, buttermilk, and yellow cornmeal. About cornbread, I don’t want to expound on this too much for fear of stepping on some people's toes. The people in the North like their cornbread made with half cornmeal and half flour with sugar in it, but the people in the South like their cornbread with cornmeal and a little flour if not any at all in it, and definitely no sugar. 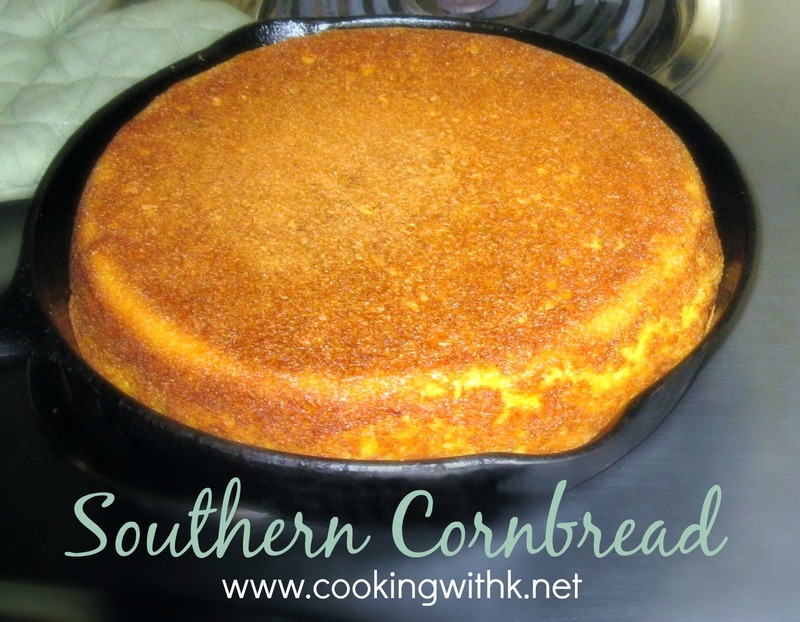 Also, Southern Cornbread is traditionally made in an iron skillet which gives it that desired crispy crust that I like so much. I must say, that my taste for cornbread has been swayed to somewhere in the middle because I actually like both recipes. I go back and forth. Sometimes I want the salty, tangy taste of my mother's cornbread and sometimes I want the sweetness of the northern style cornbread which my husband's mother makes. My mother was a true Southerner and made her cornbread with bacon drippings heated in a cast iron skillet. One of the memories that come back to me when I make my mother's cornbread recipe is her and I sitting in the living room late at night watching TV and eating cornbread in a glass of milk. Does anyone still eat cornbread and milk anymore? Put the drippings or oil in a cast iron skillet and place it in the oven for a few minutes until it’s sizzling. In a large mixing bowl, mix dry ingredients: cornmeal, flour, baking powder, baking soda, and salt; Set aside. In a small bowl, whisk together egg and buttermilk. Pour into dry ingredients and mix well. Take cast iron skillet out of the oven, and pour batter into cast iron skillet. Bake for 20-25 minutes or until light brown on the top. Remove the cornbread from the oven and flip the cornbread over in the skillet, then continue baking another 5 minutes. I am so glad you posted this. I would love to try a more corny corn bread. I have printed this for the next time I make corn bread. I like your blog. I plan to prowl around a bit. thanks for stopping by and you are most welcomed to "prowl around"! Come back soon! Kay, I'm glimpsing through all your recipes - my dad used to love putting his cornbread in a glass of milk! Reading your post made me think of him and Mrs. Sewell...lots of sweet memories of both. 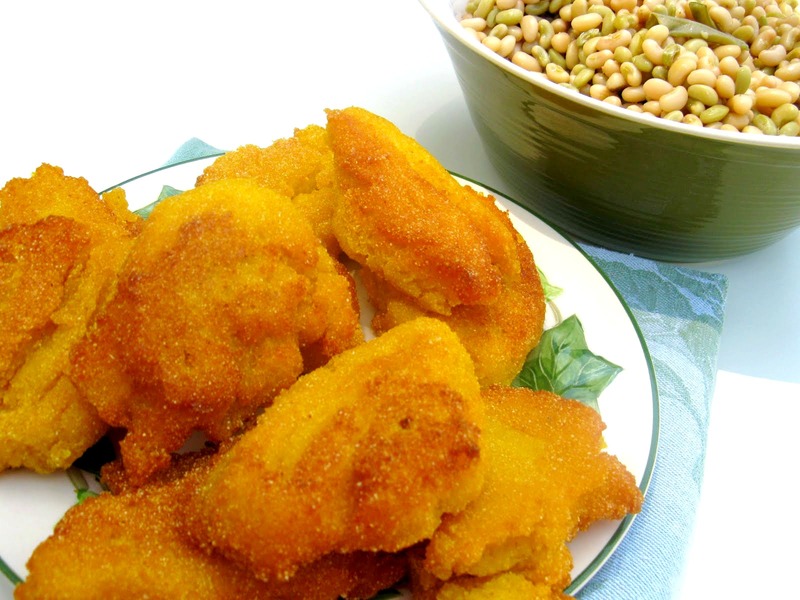 Thanks for sharing her good cooking and yours in these recipes! I have to ask, how do you flip the cornbread? On a plate, then back into the skillet? I still like cornbread in a glass of buttermilk. Love your Granny's Recipes. That Miracle Whip salad was the only salad I knew until I was grown. I thought it was real fancy when somebody added green onions. Glad I found your blog. Look forward to reading old posts and new. I grew up in East Texas, too. 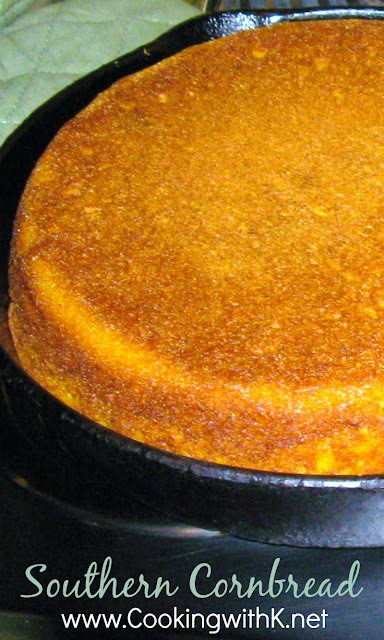 I grew up watching my grandmother make cornbread in her cast iron skillet in Pasadena, TX. I use a cast iron skillet to make mine in also. Love cornbread with fresh vegetables. Leftover cornbread is great in a tall glass of cold buttermilk. My husband will eat it this way, but only with regular milk. I grew up watching my grandmother make cornbread in her cast iron skillet. I use a skillet for my cornbread also. 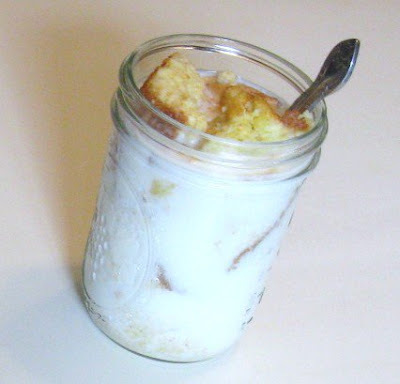 I love cornbread with fresh vegetables and then with leftovers, I add the cornbread to a tall glass of cold buttermilk. I was born and raised in the south...Pasadena, TX. I grew up in California and my grandmother made corn bread and biscuits by the pinch method. Never measured any thing. We always had either one with meals. Thank you for the recipe and Happy Thanksgiving to all. Omg! I grew up in SE Arkansas and we only used yellow cornmeal and it was not sweet. 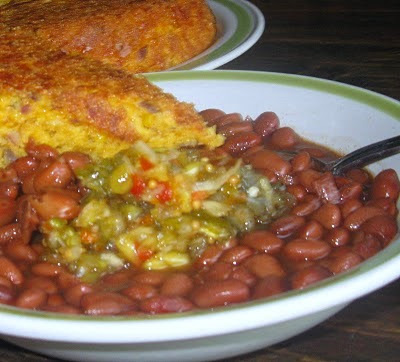 Usually paired with beans, and any leftover cornbread was eaten with milk! I lived at Ft. Drum, NY for 2 years...couldn't eat their cornbread or their fried fish. It just wasn't Granny's. Granny always makes the best...welcome to CWK! Maybe I didn't understand something, but I made this exactly as written and it was soup, not a batter. We had to double almost everything other than the milk to get the consistency. Any ideas? Hi, I am so happy that you might have stepped on some toes. I am from the South and am a lover of Southern Style Cornbread. Everywhere I go I am given sweet cornbread, I am through with it. It seems to get sweeter and sweeter. My daughter shared some with me, trying to make sure that I eat proper meals. It had been given to her. I said "Oh no. This is it. I might as well be eating a piece of cake." I am happy to have stumbled across your pin. There is still hope. Let's try cutting back on the sugar, 'for health reasons', too.